Bay Ridge, Brooklyn NY chiropractor, Dr. Richard Eggert, provides some answers below to many of the questions he receives about chiropractic care. 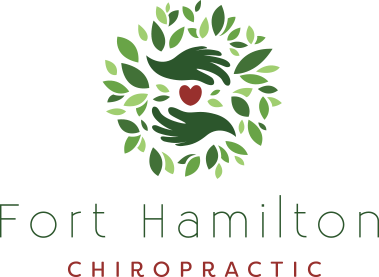 If you have any additional questions, please give Fort Hamilton Chiropractic a call. We look forward to helping you! Chiropractic works because you are a self-healing, self-regulating organism controlled by your nervous system. Improper motion or position of the moving bones of the spine, called a subluxation, can interfere, with your nervous system compromising the function of affected organs and tissues. Specific spinal adjustments can help improve mind/body communications. Health often returns with improved nervous system control of the body. How much time does it take for a typical visit? You should allow an hour for your first visit (exam and treatment). Any subsequent visits can take anywhere from 10 minutes to 30 minutes (depending on treatment needed). It depends on the care plan the Doctor prescribes for you, as well as your insurance policy limitations (Dr. Eggert is a provider in many insurance plans). We are more than happy to prepare a financial plan for you that will give you a better idea to help you budget for your care. Call our Bay Ridge, Brooklyn chiropractic office to get started with chiropractic care today!